Learn by doing in Washburne’s 150,000 sq. ft. commercial grade, culinary teaching facilities. 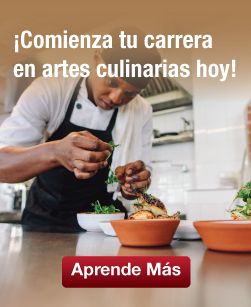 Hone your skills in fully-functioning Washburne restaurants and pastry shop. Learn the basics coupled with the newest trends from our experienced chef-instructors that help harness your creativity and foster innovation. Washburne Culinary & Hospitality Institute is one of the oldest culinary schools in the nation. Headquartered on 63rd and Halsted on the City Colleges of Chicago Kennedy-King campus, Washburne marries the latest culinary techniques with the hands-on experience to ensure that our graduates receive world-class culinary and hospitality training. The Washburne tradition produces graduates who are well-rounded individuals ready to work in Chicago’s most successful restaurants. Washburne offers a full line of catering services and a crew of highly trained, uniformed staff. We can cater anything from an intimate dinner to a gala with more than 2,000 guests. Menus include hot and cold appetizers, salads, food trays, box lunches, cookouts, buffets, desserts and assorted beverages. We can also assist with design, ice carvings, decorations, linen and other complementary services. Global contemporary lunchtime fare is featured at Sikia in the Englewood neighborhood. Operated by Washburne Culinary Institute student-chefs, Sikia serves lunch from 11 a.m. to 12:30 p.m. three times per week. Located on Kennedy-King campus at 63rd and Halsted, the restaurant menu features three-course plated global cuisine at an affordable price. Located in Chicago’s historic landmark, the South Shore Cultural Center, The Parrot Cage features modern American cuisine and upscale service. Fully staffed by Washburne graduates, the Zagat-rated and Open Table-preferred eating spot is open for dinner and Sunday-brunch.